I love Tzatziki Sauce and this homemade recipe is delicious. This traditional Homemade Tzatziki Sauce is perfect for dipping or serving with grilled meats. I love Homemade Tzatziki Sauce and this recipe is delicious. 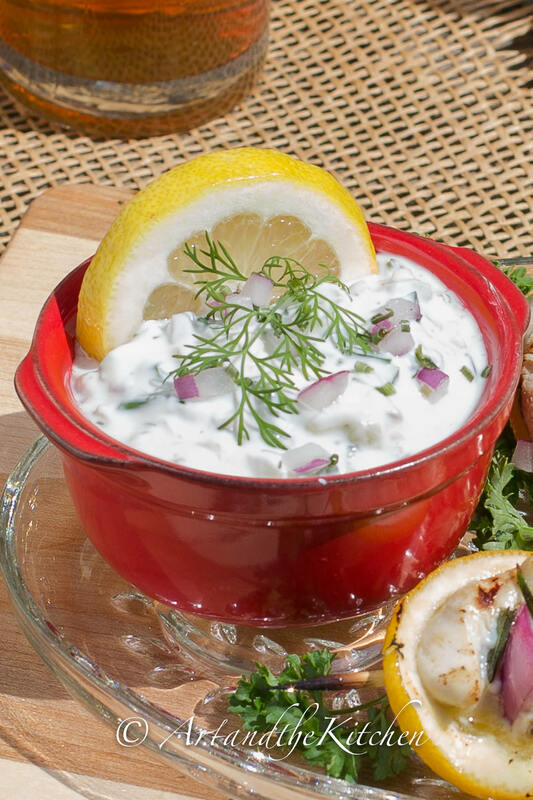 This traditional Greek Sauce is perfect for dipping or serving with grilled meats. 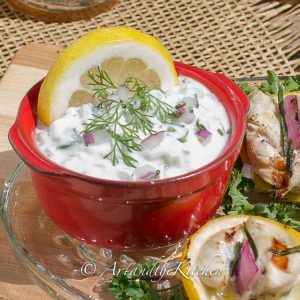 Delightfully refreshing, Homemade Tzatziki Sauce is made with fresh cucumbers, lemon and creamy Greek yogurt. This is a perfect dip for grilled chicken or beef kebobs and of course pita bread. For the ultimate flavour be sure to use fresh herbs and veggies! 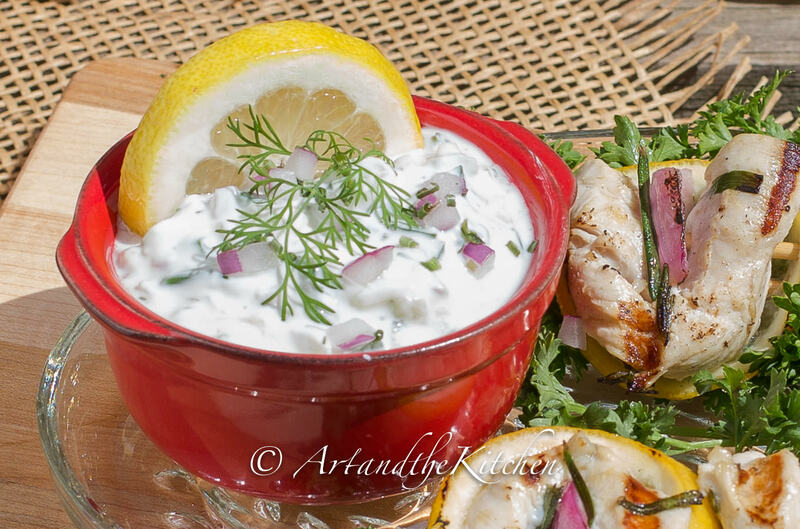 Homemade Tzatziki Sauce is made with fresh cucumbers, lemon and creamy Greek yogurt. Dice cucumbers, sprinkle with salt and place in sieve for at least 30 minutes to remove extra moisture from cucumbers. Combine all remaining ingredients together, mix well. Add drained cucumbers to yogurt mix. Now you have me craving shish kebabs and grilled Greek chicken! Perfect with your yummy tzatziki! Thank you Liz, I can hardly wait until our snow melts and we pull out the BBQ to start grilling.